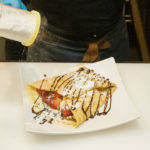 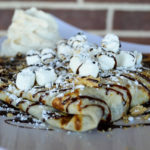 Mikhail Goryachev waves a flaming blow torch across a steaming s’mores crepe just long enough to toast the marshmallow sugar. 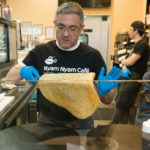 He is quick but precise as he readies his culinary masterpiece for its final destination: a hungry 10-year-old customer at his countertop. 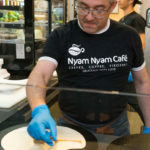 Tonight, the boy’s choice for dinner was clear: Nyam Nyam Cafe. 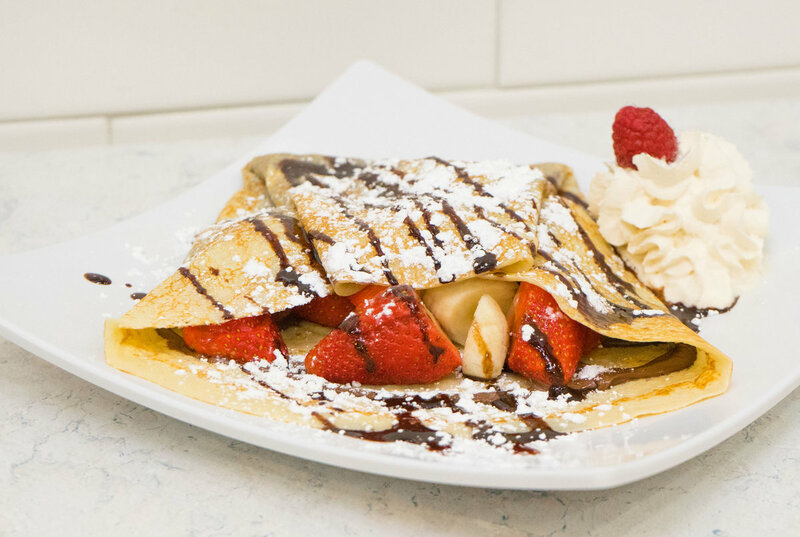 “If I give them a choice of restaurant, this is what they choose,” says Michele Norton, a Fairfield mom who frequents the eatery with her son and daughter. 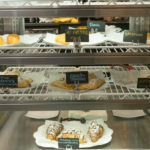 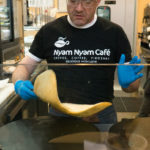 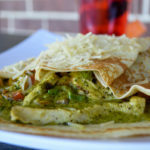 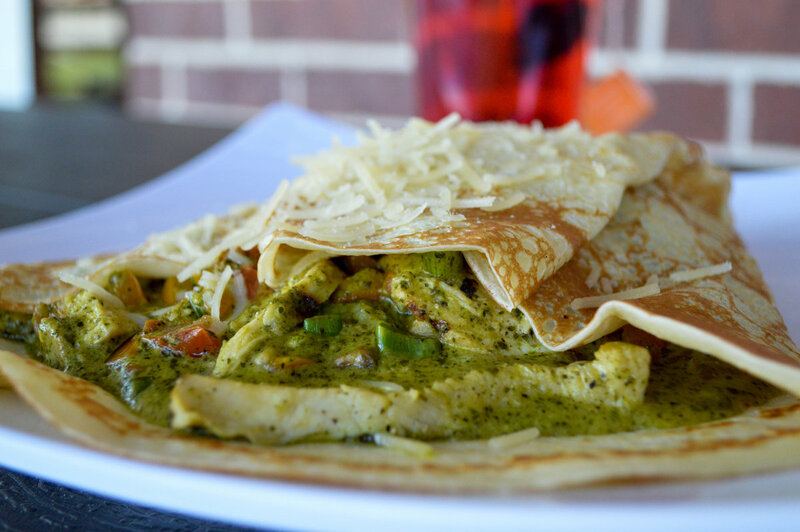 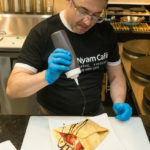 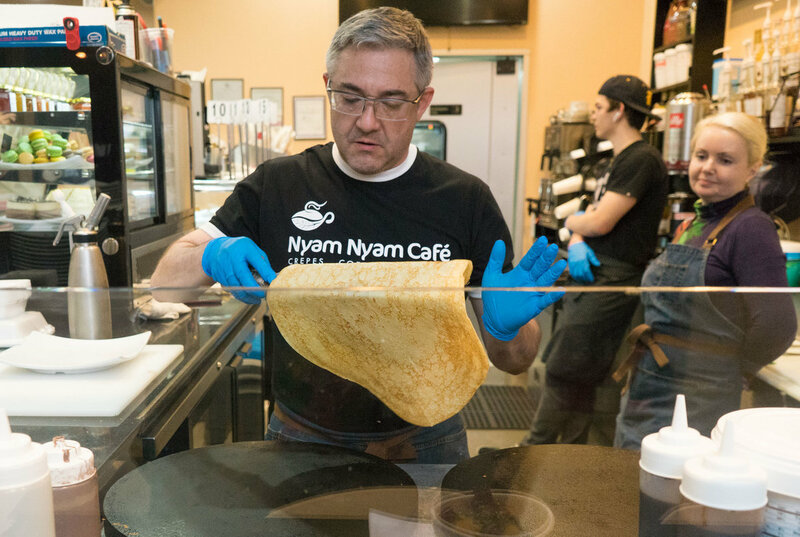 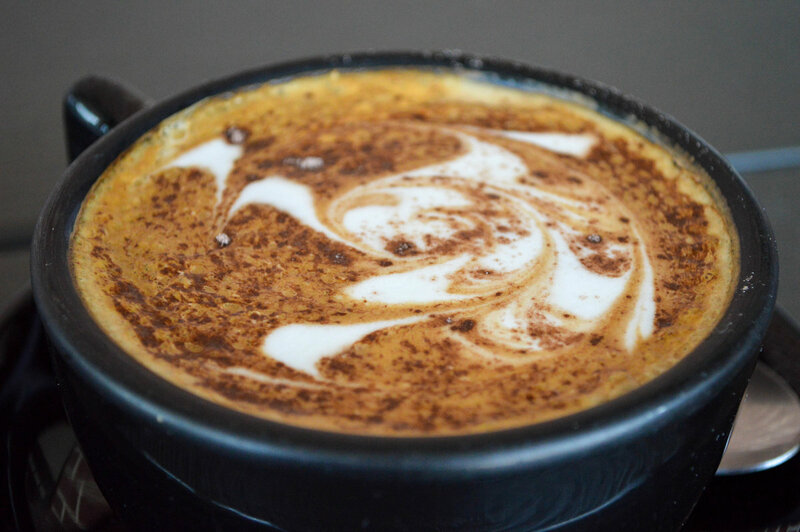 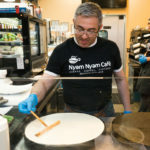 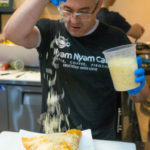 Nestled in a quiet business strip near the intersection of Mason Road and Cypresswood Drive, Nyam Nyam Cafe is anything but conventional. 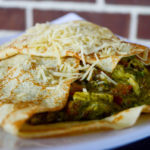 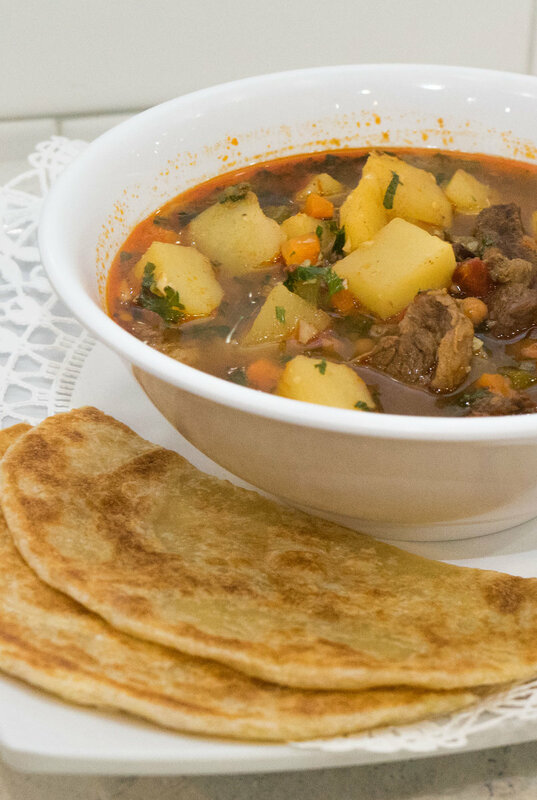 Here, customers might feast on Ukrainian-style crepes stuffed with Nutella or enjoy a hearty Hungarian goulash, a traditional vegetable stew. 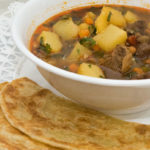 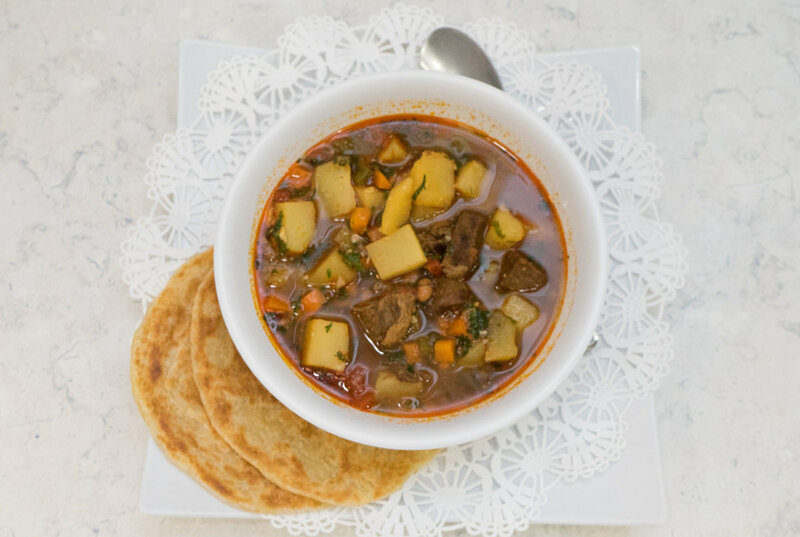 Customers might feast on Ukrainian-style crepes stuffed with Nutella or enjoy a hearty Hungarian goulash, a traditional vegetable stew. 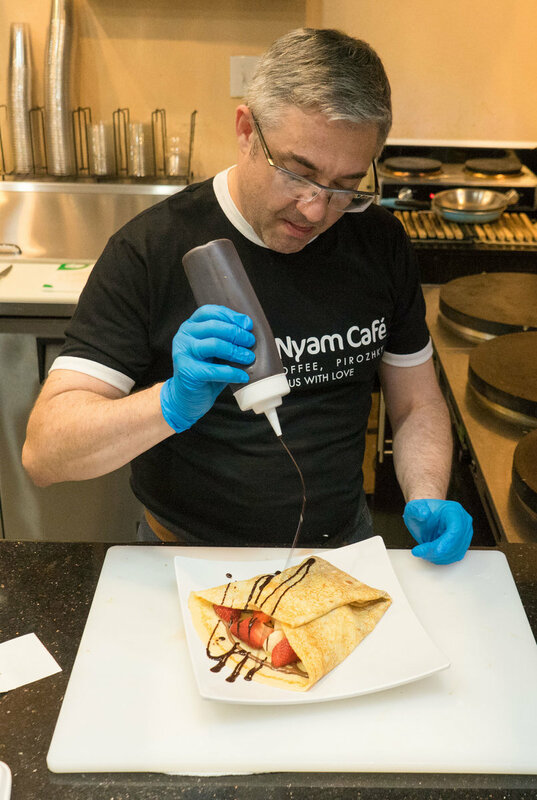 “We decided to open up to different taste buds and what people like around here,” Mikhail says. 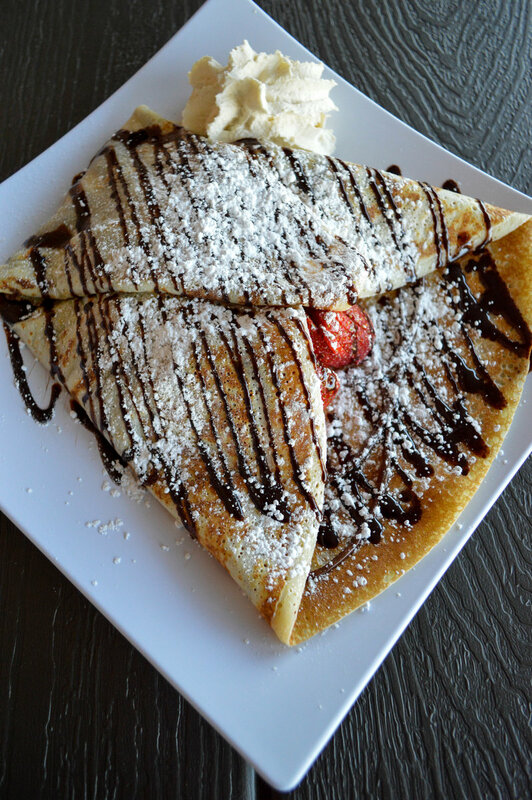 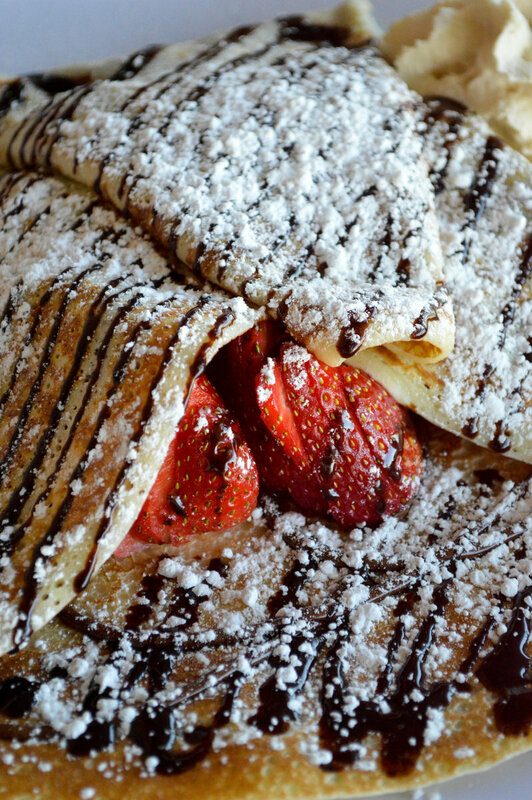 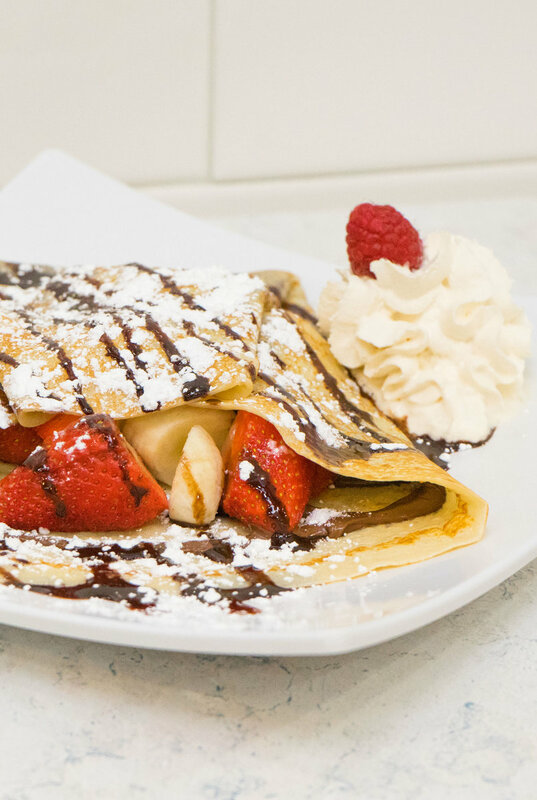 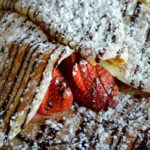 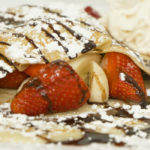 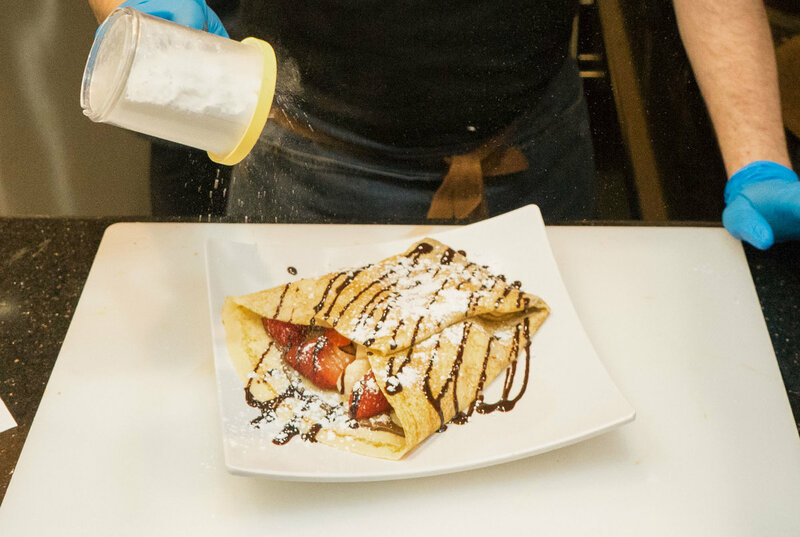 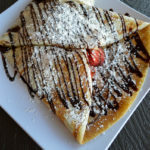 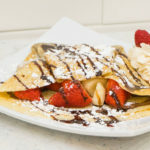 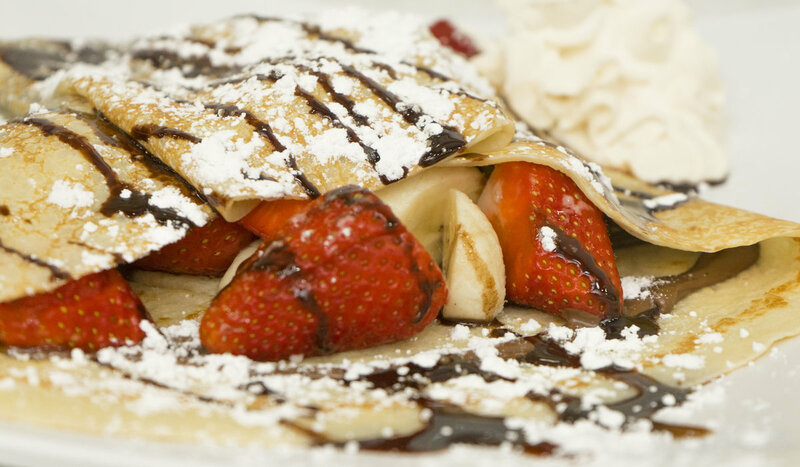 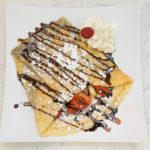 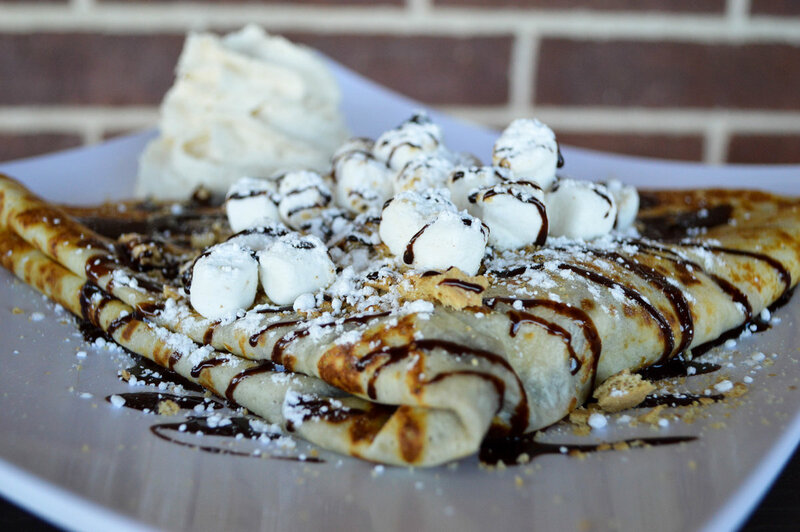 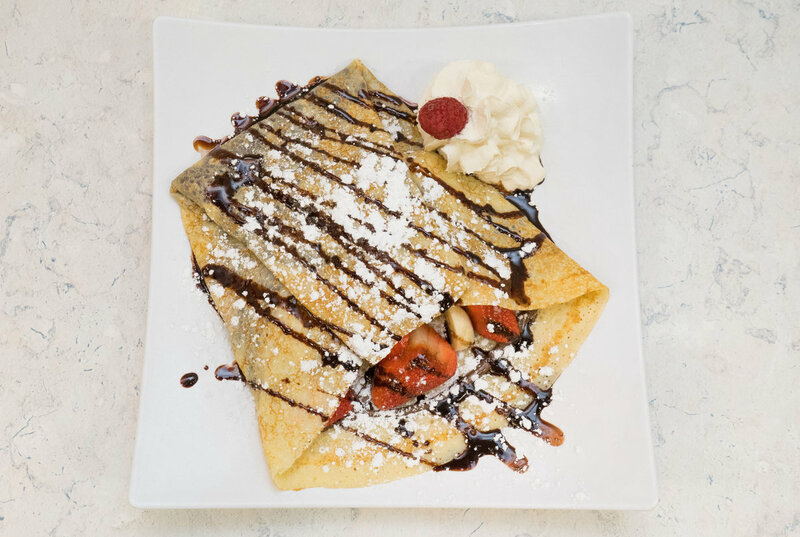 The s’mores crepe, for instance, was born from sweet-toothed customer suggestions. 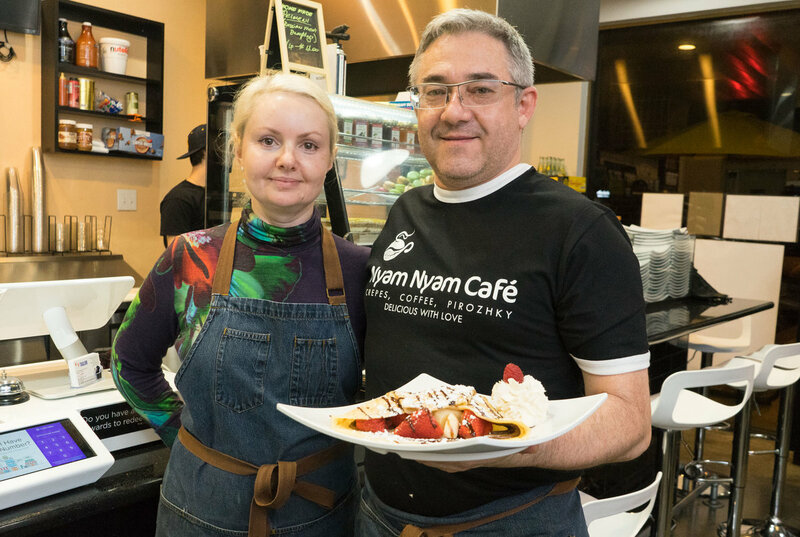 Mikhail and his wife, Nataliya, first opened the restaurant four years ago to fulfill a lifelong dream. 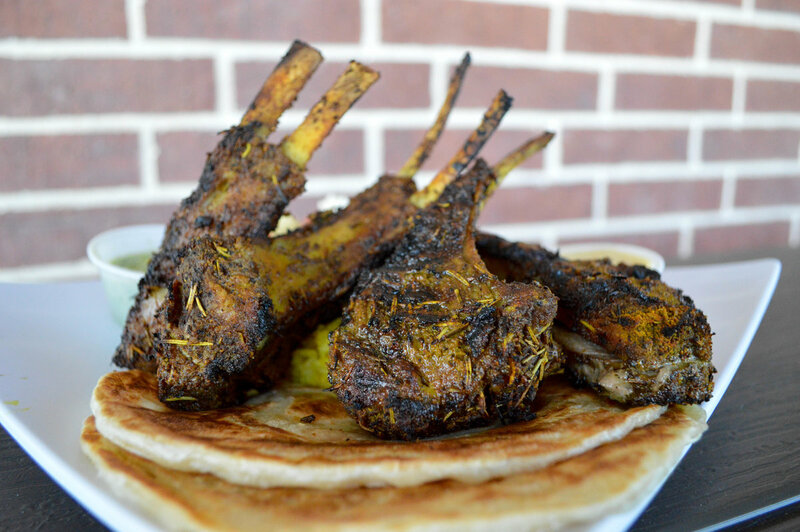 It’s now a trendy local hot spot offering food that’s quick, delicious and exotic. 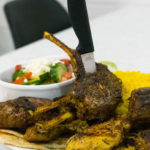 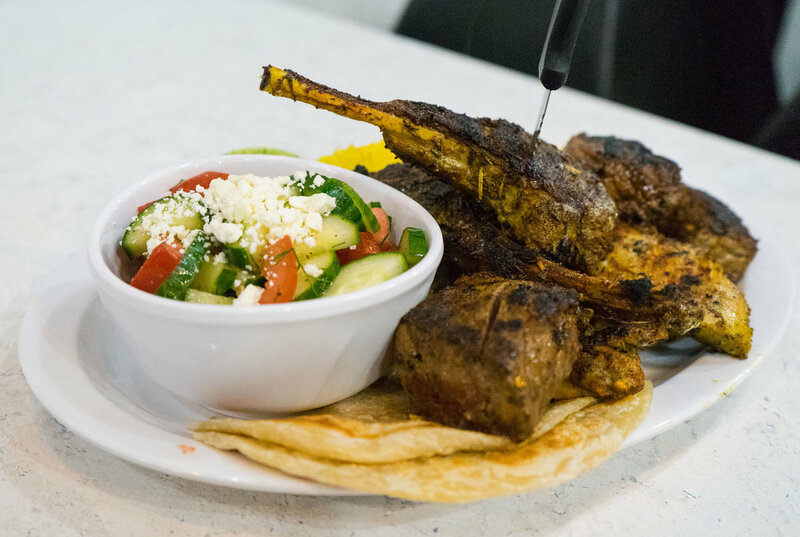 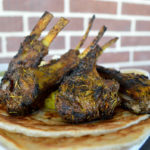 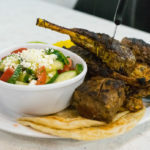 On the menu is a surprising array of scrumptious foods: curry halal chicken kebabs are served alongside Malaysian flatbread, and lamb shank is paired with homemade hummus. 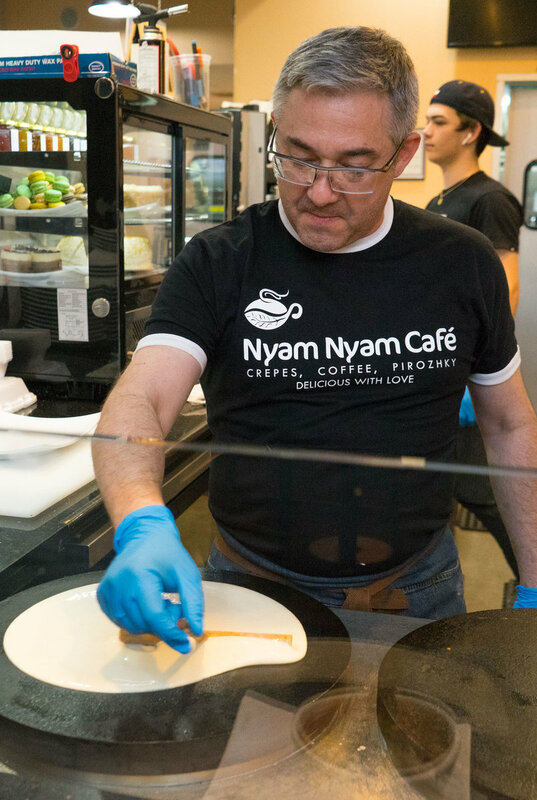 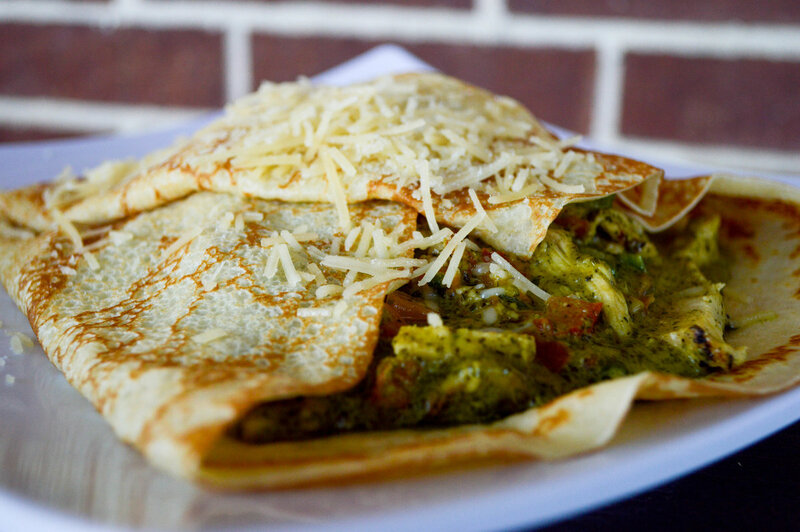 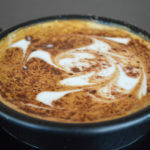 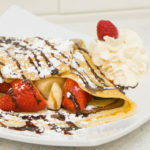 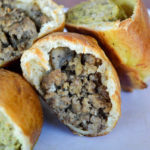 Customers might also enjoy a flaky chocolate-filled croissant or drink illy-brand Italian coffee, something Mikhail likes to call the “Rolls-Royce of coffee.” They also offer gluten-free, vegetarian meals and a vegan crepe. 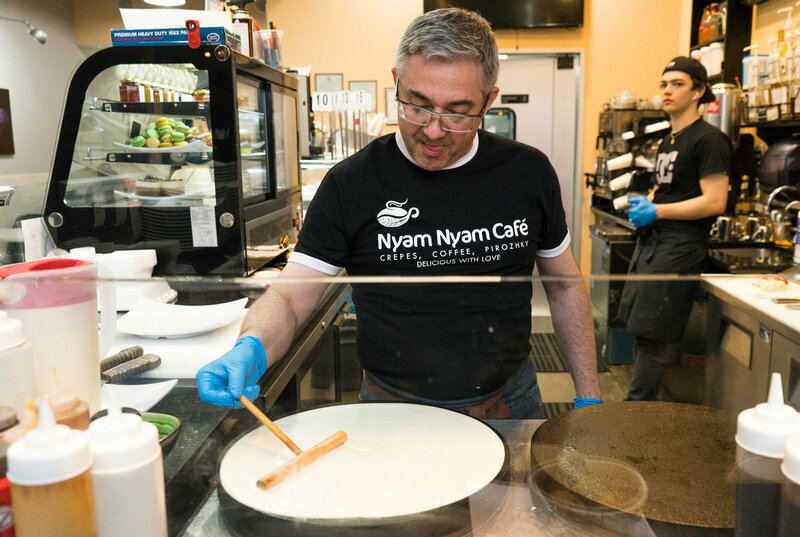 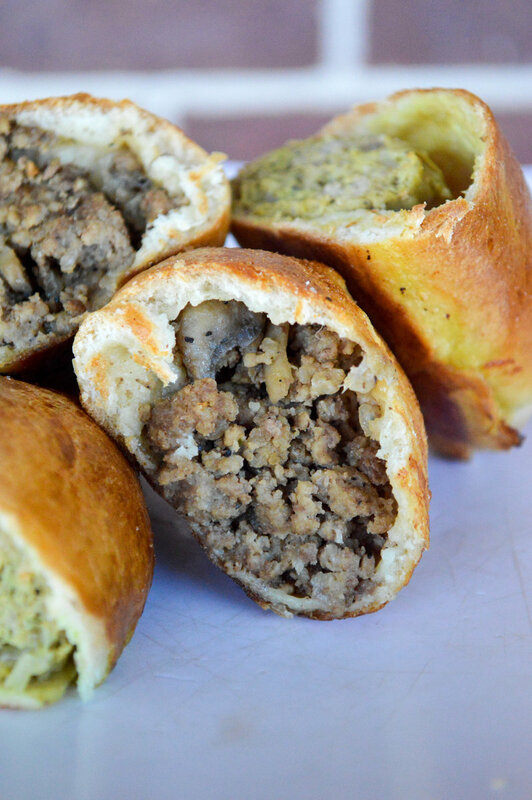 Nyam Nyam’s food is deeply inspired by the Goryachevs’ family culture. 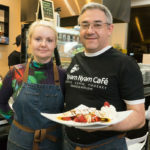 Mikhail, 49, is a trained chef from Kazakhstan, and Nataliya, a self-taught chef, is from Ukraine. 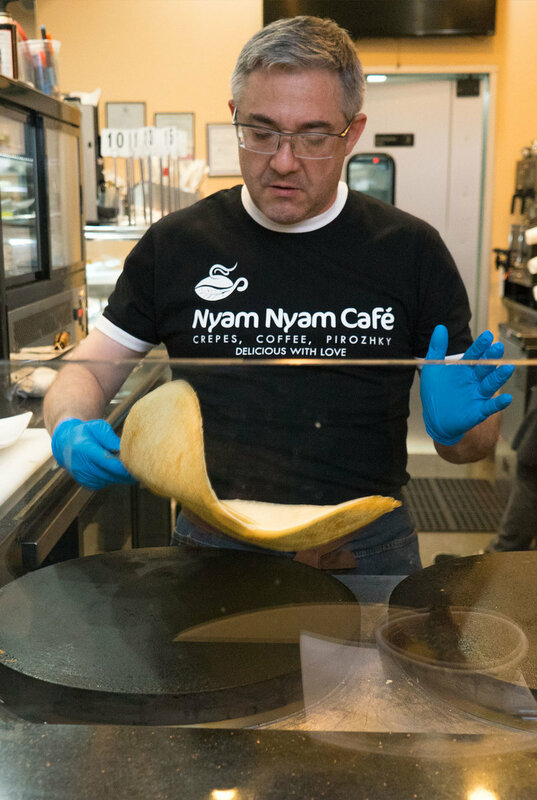 They make everything daily from scratch. 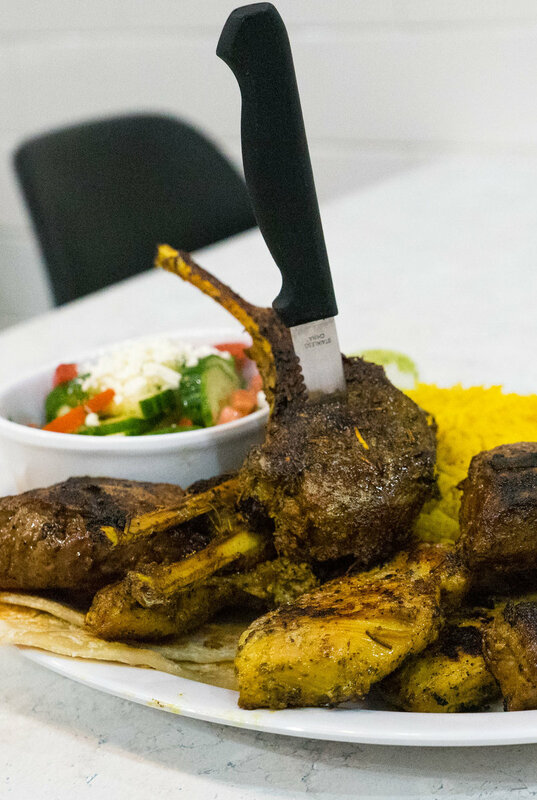 They leverage their family’s cooking expertise from the motherland. 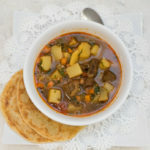 In the early days, Nataliya would video call her mother for help in the Nyam Nyam kitchen to perfect her goulash recipe. 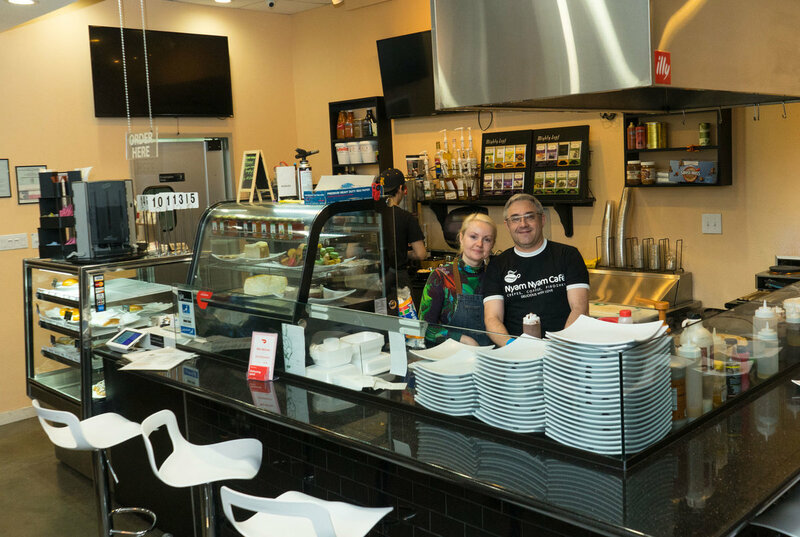 In some sense, the cafe is an extension of their home kitchen. 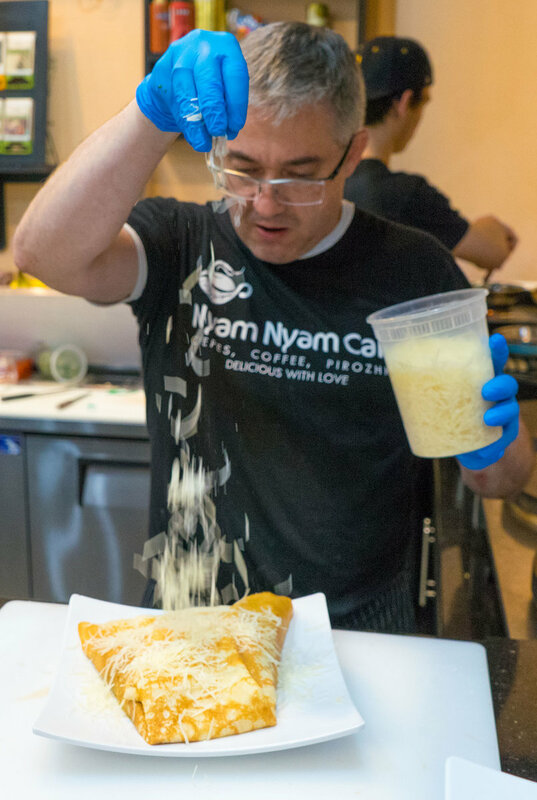 Mikhail, meanwhile, takes pride in knowing regular customers’ orders by heart. 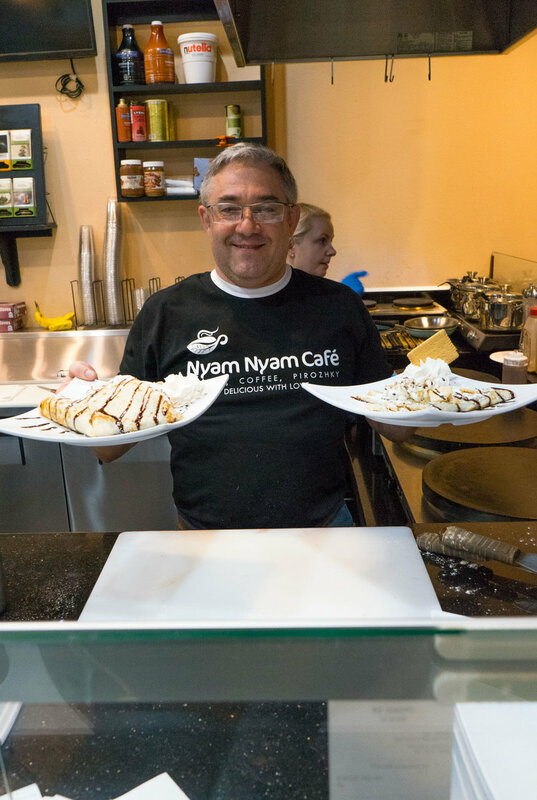 Arguably, he’s met almost all of his patrons since he works from open until close. 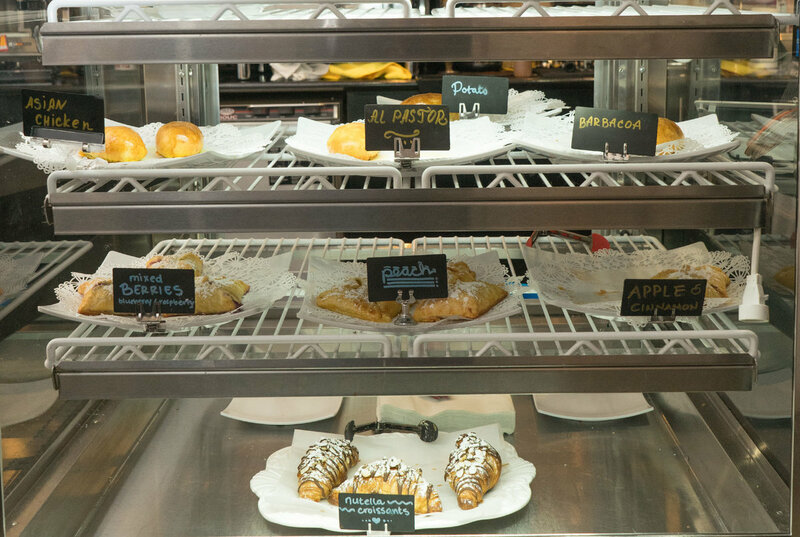 That level of service coupled with a seemingly endless selection of delectable cuisine is what keeps customers always hungry for more.